Kissimmee, FL. 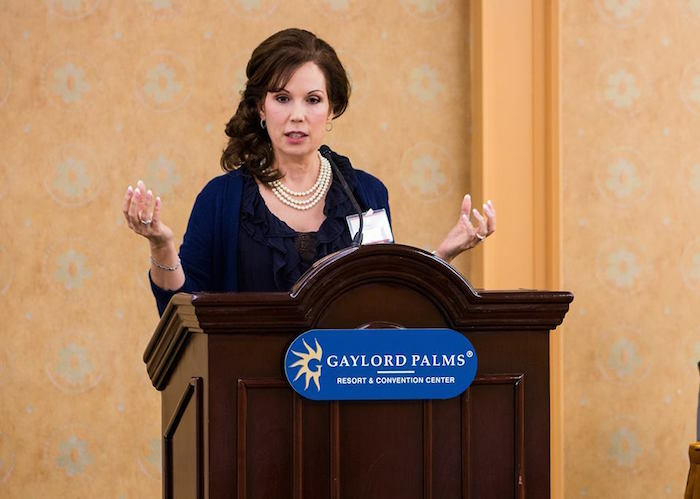 – Attorney Diana Santa Maria did the lecture presentation on 'Opening Statement' during the Florida Justice Association’s 2016 Al J. Cone Trial Advocacy Institute, while also acting as a workshop leader. The Al J. Cone Trial Advocacy Institute features three full days of engaging presentations and interactive workshops designed specifically for new personal injury attorneys to advance their trial skills. Diana Santa Maria, who currently serves on the Florida Bar’s Board of Governors for the 17th Circuit has been practicing in the field of Plaintiff’s Personal Injury, Wrongful Death and Medical Malpractice for over 25 years. This year her firm, the Law Offices of Diana Santa Maria, P.A., celebrates it 25 year anniversary for serving the legal profession and community. Diana is listed in Best Lawyers in America, Super Lawyers of Florida and she is an AV rated Martindale Hubble Pre- Eminent Attorney. The Florida Justice Association, formerly the AFTL (Academy of Florida Trial Lawyers), aims to solidify Florida's civil justice system and protect the rights of Florida's citizens and consumers.